I had a crazy weekend, I had a Valentine Stamp Camp scheduled on Saturday that has been in the works since last November! We had ice and sleet that gave us bad roads and a driveway that I could have gone ice skating on if I knew how and was a "LOT" younger. So mid week after looking at the forcast I decided on a one hour delay (sounds like school schedules doesn't it) then on Saturday I knew it would be impossible to have it and started calling my team members and the Valentine Stamp Camp guest to change to next Saturday! 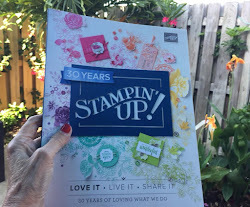 I am a guest blogger with a Stampin UP Stampers X-press demo group each Monday, so on Sunday night if I have not done anything about it I start creating. Well tonight I knew I had to create something for our blog and I took my basket of new products that I had for display for Saturday's Stamp Camp and pulled it back to my stamp room and just stared at it all! Where to start. I took the first stamp set in the basket Oh' Whale! and started putting cardstock together with the Sunshine and Sprinkles DSP and just thought this piece looked like water. I felt like I needed another color to offset all the blue and I had a real red heart punched out on my stamp table and it worked great for the whales heart. I knew I needed something else and decided to stamp Get Whale Soon in real red also. So that was my thought process, I know we each probably do it different. I added the clouds by sponging around a scallop circle that I punched out. 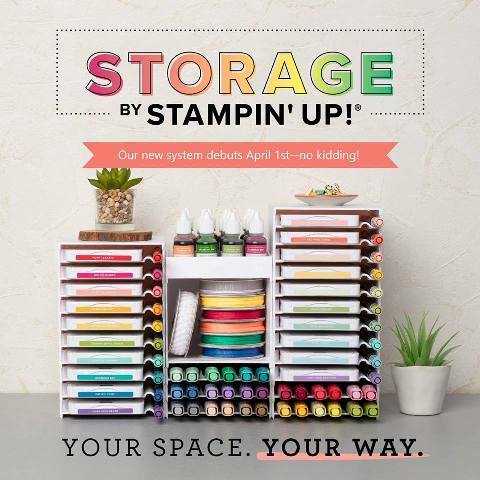 Now I have a new goal, this week I am going to make something from all the products I bought instead of in March when SAB is over and I realize I have not even inked up some of the stamp sets. That doesn't happen to any of you does it? :) Stay tuned. Products below are from the Spring Catalog page 28-29! You can check it out HERE or email me and I will mail one to you. PS Just a reminder for those that were scheduled to come to my Valentine Stamp Camp this weekend it is postponed till next Saturday Feb 2nd at 1pm same location. Surprise your friends and co-workers on Valentine’s Day with this fun, personalized popcorn treat box. I love the chalkboard look that is so popular right now, so to personalize each one, I added the cute heart pick and wrote the names with chalk. To achieve the chalked look, just lightly rub a piece of chalk over our Basic Black Cardstock and now your heart looks like a blackboard. It’s that easy! I got my inspiration for this card from the Spring Catalog page 26 but after I received my supplies it just didn't work for me. I love crosswords and this really spoke to me. I also used the More Amore Specialty Designer Paper page 10. It shows both Real Red and Primrose Petals laser cut hearts in the catalog but the opposite side has white and that is what I used. SAB is here! Check out the free stuff. You can order on line or email or call me, I will be glad to help you with your selection. This is just a quick little reminder to everyone to go buy your “Forever” stamps now before the rates go up on January 27, 2013. The new rate for a First Class postage stamp will be 46 cents. 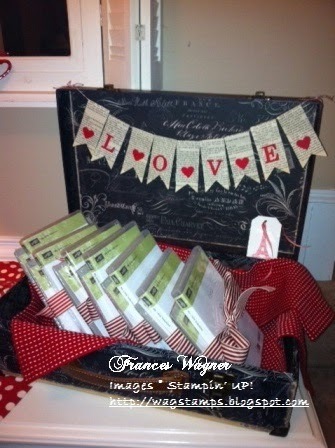 Those of you that know me know that I love working for Stampin' Up! and have the utmost respect for Shelli, CEO & Co-founder. 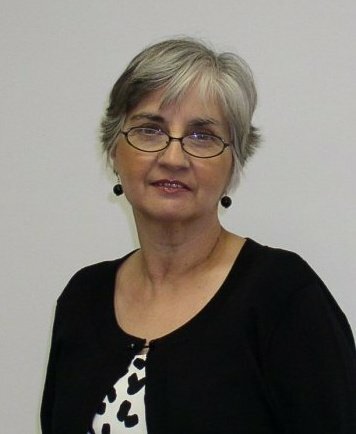 She is warm, genuine and creative, I could go on and on but I thought I would let you see an inside glimpse of her through this article that I found. Click below for the interview. Getting ready for stamp camp. I have gathered the kits that my customers will get at my Valentine Stamp Camp on January 26th and displayed them in a faux suitcase type box. Love the look, I also added the little valentine banner I made last year using torn pages from a book and cut letters with my big shot. You can still purchase this kit through January 21st. I will be placing my club order on Monday the 21st so let me know if you want me to add this to my order. You get the following for only $9.95! This is a new sample I made from the new Feeling Sentimental stamp set from the new SAB catalog that starts next week January 22, 2013. I can't wait to share it with my stamp club on Saturday. Can you believe it NEW SINGLE STAMPS.... more sweet stamps. 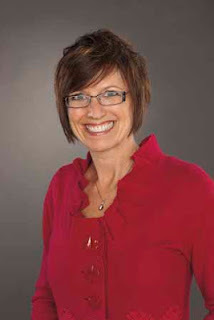 I think my favorite is the glasses since I have to wear peepers and I am all about Sunshine. 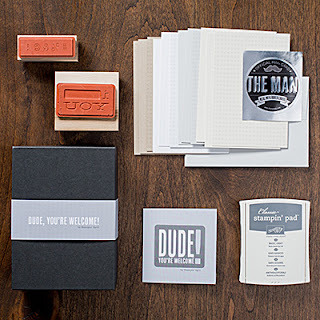 Check back here every month for a new "Best of" stamp set. Starting in February we're including a collector's card and 25-year proof of purchase sticker with every Best of set. Collect six stickers, and send it in to redeem a FREE set of your choice valued up to $14.95! Free sets must be redeemed no later than April 30, 2014. Below if the January Stamp Set of the month. Do you love crafting but can’t spend the money to build your craft supply so that it will offer you the versatility you enjoy? Would you love a planned project complete with all supplies including stamps, ink and embellishments sent to your door every month for a reasonable price. My Paper Pumpkin is for you. You’re going to love it!!! Starting in early March, you can try Paper Pumpkin for one month by visiting our online store. You will be prompted to choose a demonstrator, if you have ordered from me before or if you do not have a demonstrator I would appreciate if you choose me. I am so excited about this new product, I can't wait. I belong to a group of Stampin UP demonstrators across North Carolina called NC SU DEMOS and we share ideas and tips and we swap cards etc. In Dec I hosted a calendar swap and I wanted to share it with you. I love them all and would have a hard time deciding on my favorite one. Some used My Digital Studio others just stamped, layered and glittered. Enjoy!